THE rebuilding has begun for Alaska and the rebuilding continues for Phoenix. The two teams consummated a trade on Saturday that saw veteran gunner RJ Jazul sent to the Fuel Masters in exchange for young playmaker Simon Enciso as per multiple sources by SPIN.ph. Danny Espiritu, who represents Jazul, later confirmed the trade. The trade papers have yet to reach the PBA office but both teams already reached an agreement. The deal meant the Aces adding youth and zest to its backcourt with the arrival of Enciso, a streak-shooting guard who will be playing in his third team in only his second season in the league. 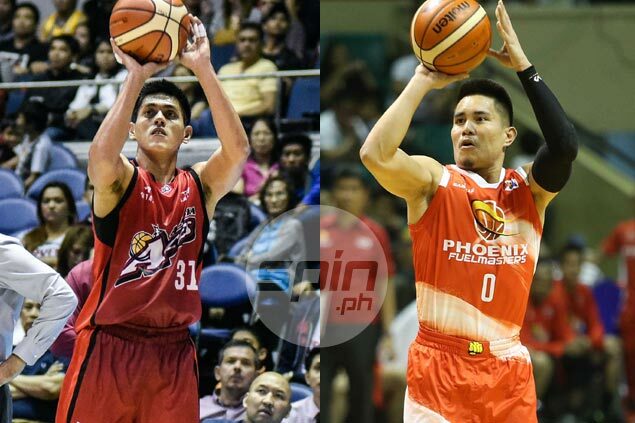 Jayvee Casio and Chris Banchero make up Alaska's backourt rotation. Meanwhile, Jazul will give the Fuel Masters the veteran savvy it needed, having won a championship with Alaska in the 2013 Commissioner's Cup and played in three other finals appearances. Jazul however, failed to deliver in Alaska's quarterfinal match-up with Barangay Ginebra that saw the Aces upset by the Kings despite enjoying a twice-to-beat edge as the no. 2 seeded team. It turned out the combo guard out of Letran College contracted dengue and was only discharged from the hospital the other day. Text messages sent to both Alaska and Phoenix management were left unaswered. It was a busy trading day for the Fuel Masters, who also dealt big man Prince Caperal to Mahindra for rookie Joseph Eriobu. Caperal's agent Marvin Espiritu said everything is in place for the trade. "Yes, trade papers had been signed," he said.